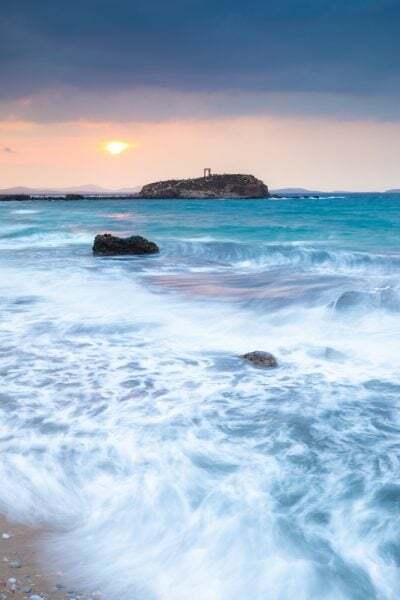 I have a bunch of videos up on my photography vlog from my time on the island of Naxos, Greece. 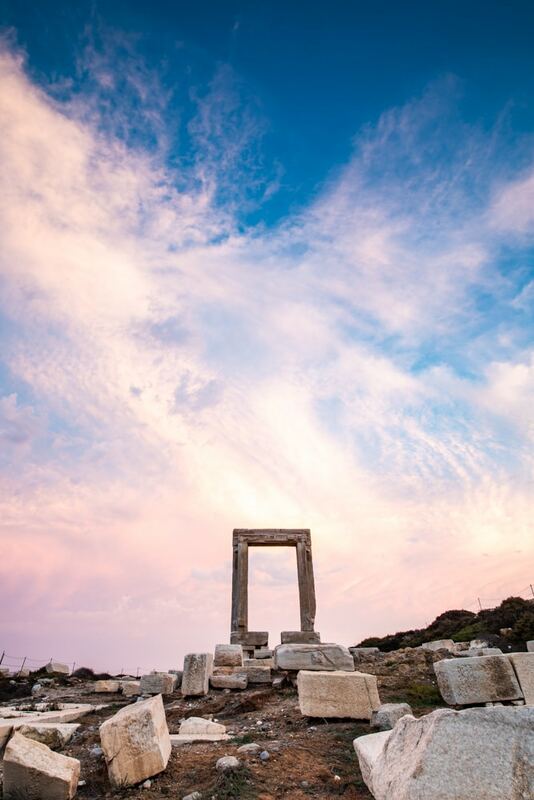 But, somehow I’ve found myself with some free time and I wanted to share some of these Naxos images. The 3 day trip just ended up delivering so hard that I can’t really help but smile when I think of how many photos it turned out. Normally, on a 3 day trip somewhere I’m happy if I can turn out 5-6 images. Looking quickly at my Lightroom library, I kept 54 Naxos images. Obviously, there’s a difference between a keeper and a “sharer”. And then there’s another level called “portfolio worthy. Keepers are images that you can’t delete. You think that at some point you might want to use this image or put it into your stock photography portfolio. Essentially, you have some sort of attachment to the image, or you think it can sell. I kept 54 Naxos images from this trip. 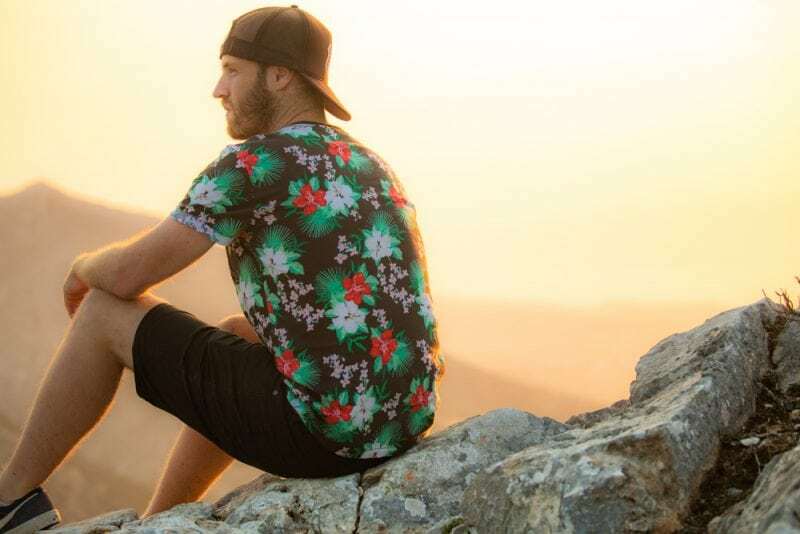 “Sharers” are images that you’d be happy to share on your social media channels. They’re images that you’re proud enough of that you’d let other people see. From my Naxos photos, I have 13-14 that fall into that category. 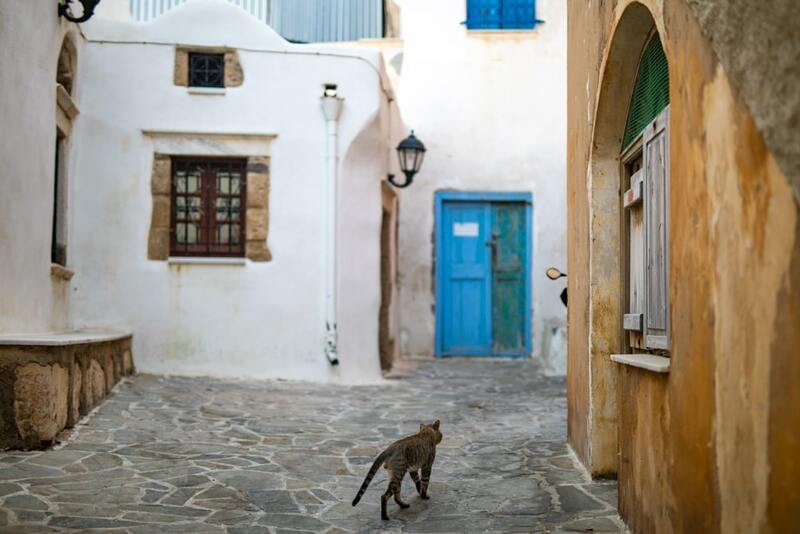 And finally, from the photography in Naxos, I likely had 1 image that would be “portfolio worthy”. Not a sharer or anything, but a keeper. In a year, you’d be lucky if you could make 12 “portfolio worthy images”. Essentially, portfolio worthy means that at the end of the year you’d include it in one of your top 12 images. If you were making a calendar, you’d want to include it. The thing about these kind of photos though, is you never really know if they are in your top 12 until the end of the year. That’s why they are marked as “worthy” rather than included. I keep track of these images in my Lightroom catalogue by giving them a 5-star rating. Then, towards the end of the year I don’t have to dig through every image I shot in that year to find my 12 images. Borderline share-worthy. But that light! 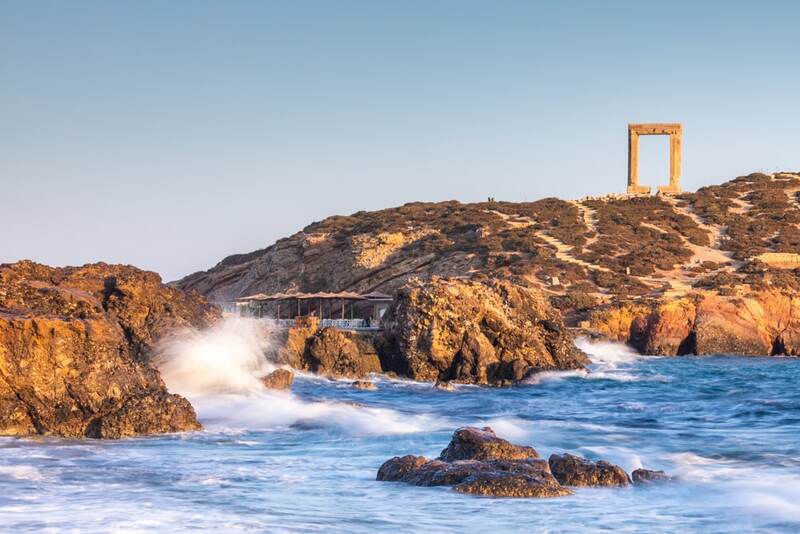 Which of the Naxos Images is Portfolio Worthy? The funniest part of this image is that I had no plans on shooting it. I decided I wanted to film a hero video for my YouTube channel. I wanted a new channel trailer. So, I went out with all my gear and didn’t plan on taking pictures. I was just going to shoot video. 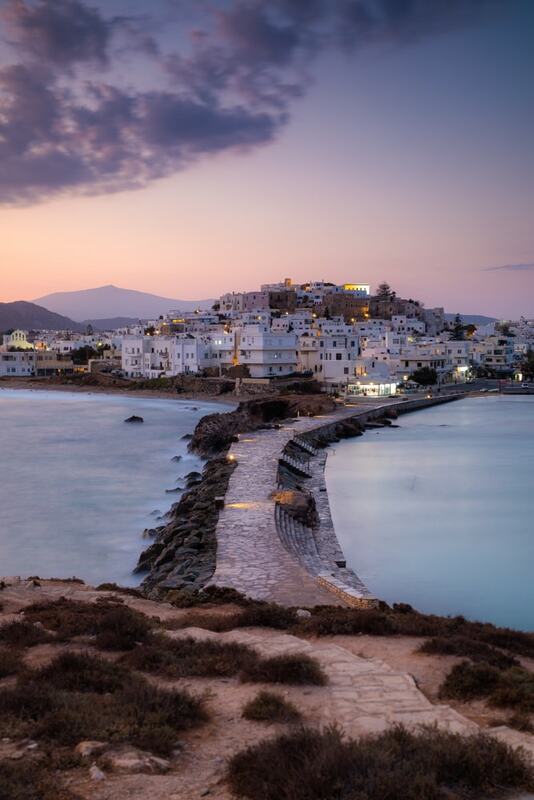 It was kind of a dreary night on Naxos, so I didn’t think there’d be light. Then, out of nowhere there was a busting of epic light that punched through. It led to this image. And, you can actually download this photo for your phone or desktop background totally free. I’m putting together a post of all my favourite photography locations in Greece, and I think I ended up with 4 locations here in Naxos. It’s just that good for photography. The Old Town Market is a maze. But it’s a brilliant place for photography. In fact, I wish I had a couple more days so that I could have spent more time shooting street photography there. There are so many compositions and fun places to make images. I actually didn’t plan on photographing this location at all. But, the light just exploded on me as I was photographing the opposite direction. So, I turned my camera around and grabbed a couple wide angle images of the unfinished temple on my Canon 16-35mm lens. Note that there are ropes keeping people away from the temple, so you’re a little bit limited with your compositions here. From The Door to Apollo’s Temple there’s a brilliant cityscape back towards town. It’s an absolute classic photography location. 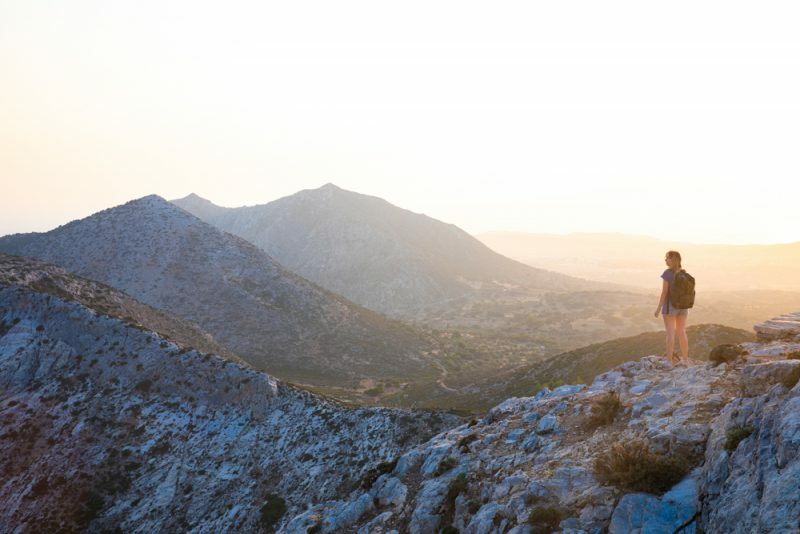 So if you’re visiting Naxos, I’m sure you’ll want to head up here for an image like this. 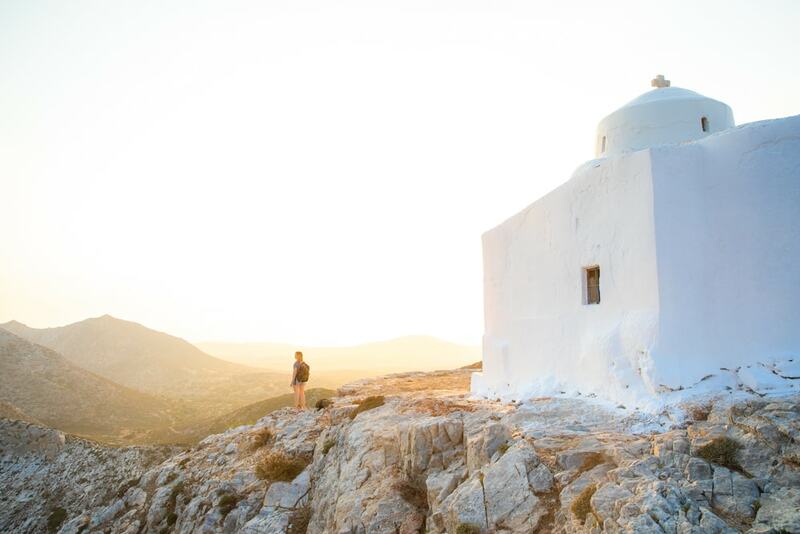 Jodie and I drove our quad up to Church Agios Ioannis which might be the coolest photography location in Naxos. We went up for sunset and it was just a brilliant sunset. We also made use of the golden light to take a couple shameless photos of ourselves. I’m working on putting together a list of the best street photographers in the world. Do you have a favourite? If so, drop their name in the comments. As for life, we’re back on Crete prepping for out next island trip which is going to take us to Santorini and Mykonos. 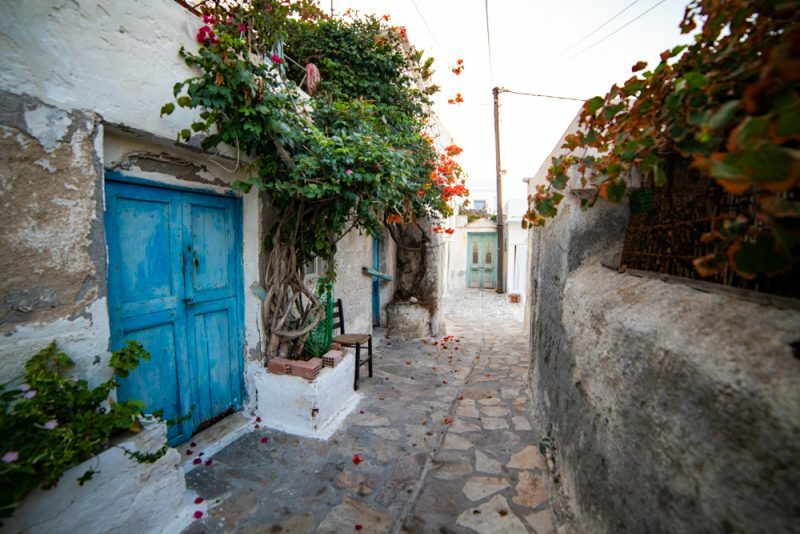 The crazy thing is that while I love my Naxos images, I think that Santorini and Mykonos are meant to be even more photogenic. So, I think I’m in for a treat. Hello Brendan. I really like your photos and videos. I follow you on both instagram and youtube. As it happens i was also in the island of Naxos this past August. It was my first time there. I am Greek so i have seen many greek islands over the years. They all have their pros and cons as far photography goes. Keep up the good work and continue giving great tips. Your Friend George.